A Gift Horse Sends Many Great Gifts! Other possible titles for this post include – Lauren Gets Super Spoiled for the Equestrian Gift Exchange, Genny is Oh So Gennyrous and SQUEEE! During my post Christmas holiday staycation (oh so exciting blog post coming soon on that), I received an unexpected package at my front door. When I saw the return address was Genny from A Gift Horse, I did a little tiny squeal of delight and quickly went to open it. 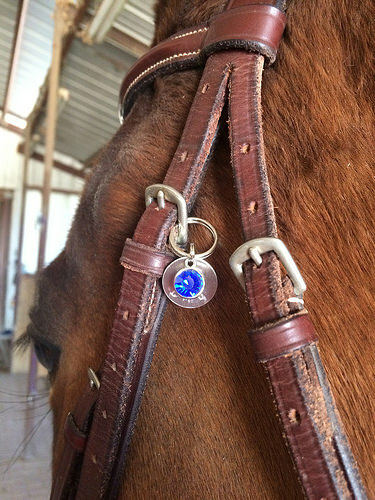 Immediately I spyed with my little eye some monograms from Relatively Stable, and a oh so cute bridle charm from Emily’s Equine Creations. See, whenever I do a secret santa type exchange I feel weird being like “buy me this” so I had joked that ‘Monograms are a lifestyle’ as my suggestion. Genny definitely delivered on the monogram front! 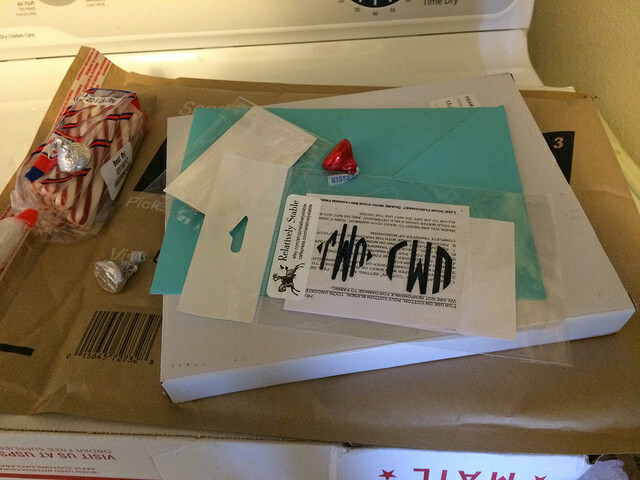 After reading the card, I saw the mystery box underneath the monograms. What is this? A REALLY PRETTY FRAME OF MY SIMON PANTS! Honestly, I teared up a little bit. I just thought this was the nicest sweetest present and really, really appreciate it. I don’t have a lot of horse photographs in my home, and even though Simon is my best buddy there actually isn’t a single printed picture of him anywhere. Now that’s fixed and he has a prominent spot on my table. The frame is hard to photograph because it’s so shiny, but it is engraved with his show name on the top and barn name on the bottom. Plus, Genny chose one of my favorite photos ever of us! Thank you so much Genny for the gifts and Tracy for organizing all of this. It has been tons of fun, and made for many happy bloggers – myself included. 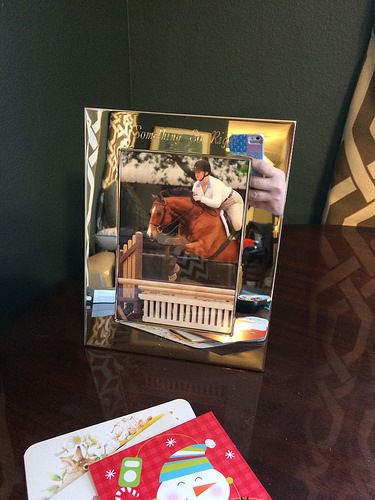 The picture frame is such a good idea for a gift! Aww! What awesome, thoughtful gifts!! The frame is absolutely stunning!! 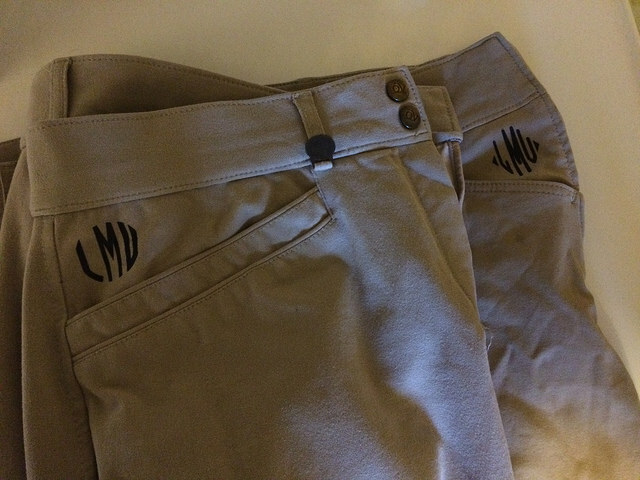 Awww, love the frame, and the monograms on the breeches look great! Yep, those are badass gifts! Awww what great gifts!! I love the frame and that picture! Awwww what an awesome present!! Secret santas are the best! Love the gifts! God, Genny strikes me as so classy. I love the stuff I’ve gotten from relatively stable, so I hope you do, too. Love the picture! That’s perfect! Aw that’s awesome! I love how personal everything is. I’m so, so glad you love them! 🙂 I had a lot of fun shopping! Aww so cute! Now I have to check out Relatively Stable. And paycheck…… GONE.